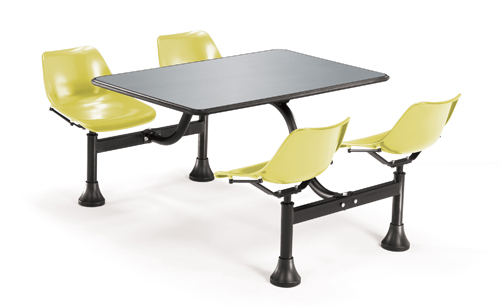 Product: Looking for Cluster tables for your break room or cafeteria? 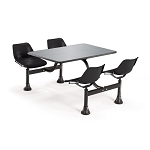 Free shipping to the lower 48 States for this 1005 Cluster Table. The OFM 1005 30" x 48" Cluster Table and Chairs (Seats 4 People) is the solution! 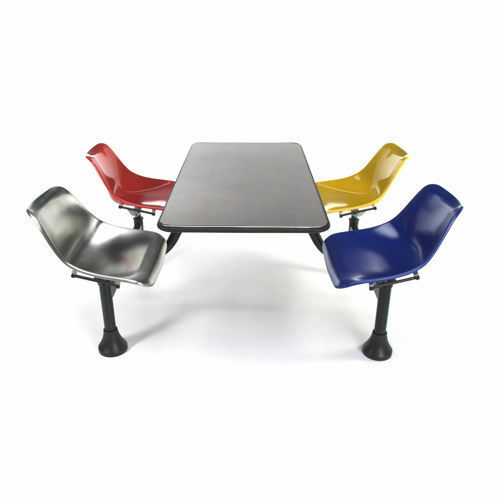 Are you looking for a durable, yet versatile table for your next get together? OR maybe your looking for tables to go in your break room. 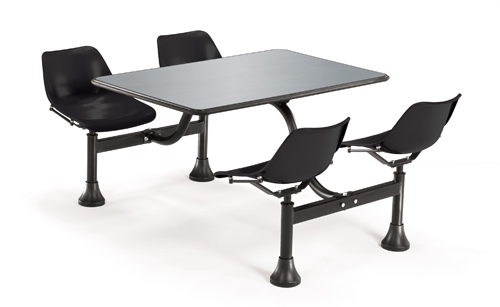 Get together or break room, indoors our outdoors, the OFM 1005 Cluster Table will be the perfect fit with waterproof and fireproof table top and chairs. 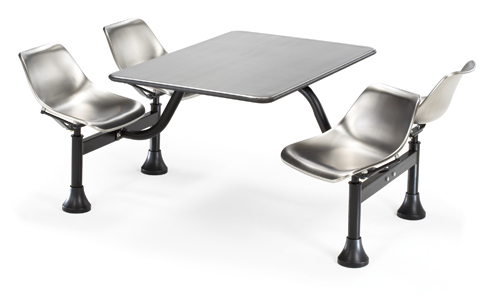 At your next gathering your guests could be seated at a 24" x 48" stainless steel table top that resists mars and scuffs, with 4 attached chairs that come with an auto-return swivel feature that makes entry and exit a breeze! The built-in glides allow for optional permanent installation or leveling. Order yours today and SAVE MONEY with Competitive Edge Products, Inc. OFM List Price is $1129! You may pick this item up in Holly Springs, North Carolina to avoid the shipping costs. Competitive Edge Products, Inc. is an authorized retailer of the OFM Cluster Tables. Check out the other OFM products that we carry! When we first set it up we were not sure about it. We thought, "Ooh ... its too small". But then I sat at it with our CSO, each of us weighing in at 250 lbs+. We sat on the same side together and neither of us touched one another. The seats accommodates our (clear my throat) physical needs and actually were quite comfortable. We felt the seats were a little more flimsy than the video represents, but truly they are very strong and supportive. We are buying 1-2 more for our break room. Fast Shipping: Orders for the OFM 1005 generally leave the warehouse within 1-2 business days. Dimensions: 48" x 30" x 2"